GetDivorcePapers.com provides professionally completed, 100% court-approval, money-back guaranteed Massachusetts divorce forms. Just create an account, complete the interview, and file for divorce. Our case managers do all the work for you, and send the completed Massachusetts divorce forms when they are ready to be filed. 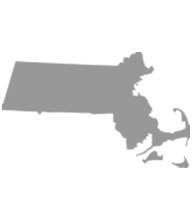 The following information has been provided to give people awareness of the major things to keep in mind when filing a divorce case in Massachusetts, USA. According to Massachusetts law, if the grounds for divorce occurred in the State, one of the spouses must be the resident of the State for at least one year. Imprisonment for five years or more. Non-support, not providing sustainable maintenance. How the child's current living conditions affect his or her mental, emotional and physical health. If any member of the family is an alcohol or drug abuser. If the child has been deserted by either parent in the past. If either part has been involved in domestic assault. History of the parent's involvement in matters concerning the child. The courts may grant joint custody given that both parents agree, unless the court decides that it will not be in favor of the child. Each spouse's contribution, both in valuation and contribution as a homemaker. Over all time period spent together after the marriage. Age, occupation as well as health of spouses are also considered. Conditions of employment of both spouses. Liabilities of both partners and their needs. Parent has other kids for whom support must be paid and the financial resources are insufficient. Supporting parent has a lot of other extraordinary expenses such as related to health. If irreconcilable differences are the reason for divorce, the court may recommend that the spouses as well as children go for marriage and family counseling. There is no need of a lawyer when applying for divorce in the state of Massachusetts. A divorce case which is filed without any help of an attorney in any of the states is known as Pro Se Divorce. Literally, Pro Se is a Latin phrase and it means "on her or his own". Process of getting the divorce without the help of lawyer may vary from one State to another. These types of divorces are perfectly legal and enforceable in Massachusetts, and are actually very convenient. Usually, once settlements have been made regarding property distribution and custody matters among the spouses in case of a mutual divorce, Pro Se Divorces are filed. GetDivorcePapers.Com is an online service that specializes in helping people get divorce papers in their own state. However, this site does not provide legal advice and use of this site is not a substitute for hiring an attorney licensed to practice in your state.